Trump Moves Ahead on Mexico Border Wall – Coercion Code – "Dark Times are upon us"
US President Donald Trump has signed directives to build a wall along the country’s border with Mexico and crack down on cities that shield illegal immigrants, proceeding quickly on sweeping and divisive plans to curb immigration and boost national security. The Republican President is also expected to take steps in the coming days to limit legal immigration. 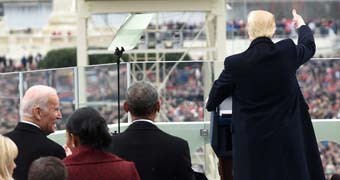 From ending terrorism to unlocking the mysteries of space, here are some of the promises Donald Trump made in his inaugural address. These may include executive orders restricting refugees and blocking the issuing of visas to people from several Muslim-majority Middle Eastern and North African countries including Syria, Sudan, Somalia, Iraq, Iran, Libya and Yemen. 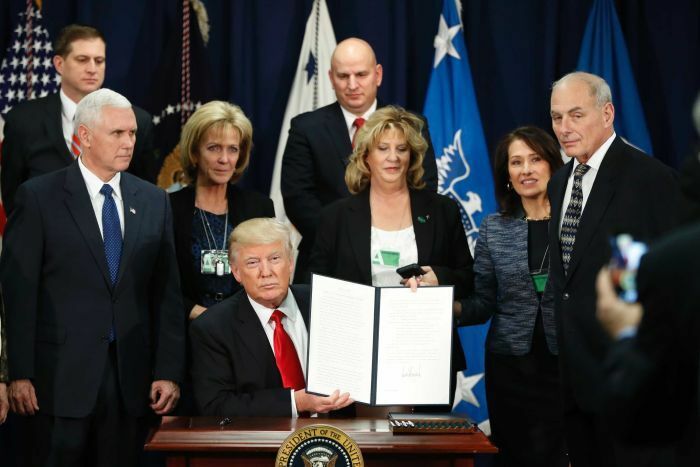 Mr Trump signed two executive orders during an appearance at the Department of Homeland Security, one on building a wall along the roughly 3,200 kilometre US-Mexico border and the other to strip federal grant money from “sanctuary” states and cities that harbor illegal immigrants. In cities such as San Francisco, local officials, often Democrats, refuse to cooperate with federal authorities on actions against illegal immigrants. “The American people are no longer going to have to be forced to subsidise this disregard for our laws,” White House spokesman Sean Spicer said. Mr Spicer said the directives would also end the practice known by critics as “catch and release”, in which authorities apprehend illegal immigrants on US territory but do not immediately detain or deport them. He said they would create more detention space for illegal immigrants along the southern border to make it easier and cheaper to detain and deport them. “Building this barrier is more than just a campaign promise, it’s a common-sense first step to really securing our porous border,” he said. In a new interview with ABC news in the United States, Mr Trump said construction on the wall would start within months, with planning starting immediately. Mr Trump also said Mexico would pay back to the United States “100 per cent” of the costs. “We’ll be reimbursed at a later date from whatever transaction we make from Mexico,” he said. Mr Trump made cracking down on illegal immigration a key element of his presidential campaign, with supporters often chanting “build the wall”, during his rallies, but the cost, nature and extent of the wall remain unclear. 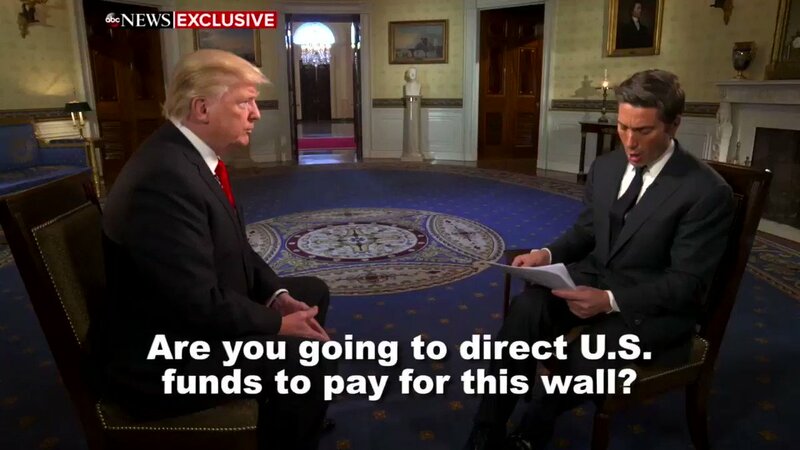 He last year put the cost at “probably $[US]8 billion” ($10.6 billion), although other estimates are higher, and said the wall would span 1,600 kilometres because of the terrain of the border. Many Democrats have opposed the plan and could try to thwart any legislation to pay for the construction in the US Congress, although Republicans control both the Senate and House of Representatives. Mr Trump is also expected to order a review that could bring back a CIA program for holding terrorism suspects in secret overseas “black site” prisons, where interrogation techniques often condemned as torture were used, two US officials said. The black sites were used to detain suspects captured in President George W Bush’s “war on terrorism” after the September 11, 2001 attacks, and were closed by former President Barack Obama. A look at the key moments that have shaped the war in Syria over the last five years. The officials said Mr Trump is expected to sign an executive order in the next few days calling for a high-level review into “whether to reinitiate a program of interrogation of high-value alien terrorists to be operated outside the United States”. The review would also examine whether the CIA should run the facilities, according to a copy of the draft published by the Washington Post. When asked about the use of waterboarding as an intelligence-gathering tool, Mr Trump said he was open to the practice. “Absolutely I feel it works,” he said in the US ABC interview, but added he would rely on the advice of CIA Director Mike Pompeo and US Defence Secretary James Mattis, among others, before using the illegal technique. “And if they don’t want to do it, that’s fine. If they do want to do it then I will work toward that end,” he said. A further executive order draft seen by Reuters would direct the secretaries of state and defence to produce a plan on safe areas for civilian refugees inside Syria and other nearby countries. 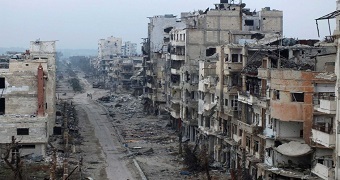 “The Secretary of State, in conjunction with the Secretary of Defence, is directed within 90 days of the date of this order to produce a plan to provide safe areas in Syria and in the surrounding region in which Syrian nationals displaced from their homeland can await firm settlement, such as repatriation or potential third-country resettlement,” the draft order said.